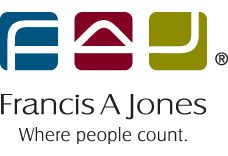 Francis A Jones offers you a secure payments portal to pay FAJ invoices. The portal is fully PCI compliant and all transactions are protected as per the banking regulations. Pay by instalments*. Please note that fees and charges apply and this option is not available for small balances under $198. *For more information on option 4 please read our fact sheet and watch a 3-minute video that explains it in more detail.